Is “Jew In A Box” Exhibit Fostering Understanding Or Anti-Semitism? 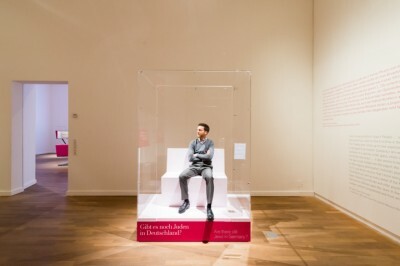 The Jewish Museum in Berlin is stirring up controversy with an exhibit called “The Whole Truth: Everything You Wanted to Know About Jews.” The element of the show getting the most attention is a cast of Jewish men and women who take turns sitting in a Plexiglas box, and answering visitors’ questions about Jewish life and culture. To read more, click here. Anti-Semitism and anti-Muslim activities are on the rise around the globe, according to the U.S. State Department. Countries of particular concern include Egypt, China, North Korea, and Saudi Arabia among others. To read more, click here. A top commander of a Nazi SS-led unit accused of burning villages filled with women and children lied to American immigration officials to get into the United States and has been living in Minnesota since shortly after World War II. Michael Karkoc, 94, faces deportation and prosecution. To read the full article from the Associated Press, click here. 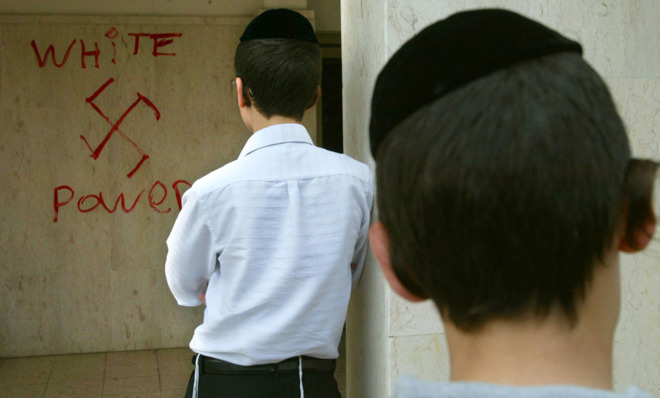 How persistent is anti-semitism over time? 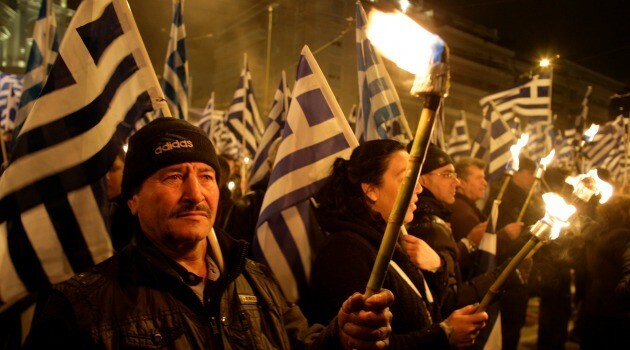 A recent study points out that communities that murdered their Jewish populations during the 14th-century Black Death pogroms were more likely to demonstrate a violent hatred of Jews nearly 600 years later during the era of the Third Reich. To read an article about the topic with a link to the study, click here. For years, international organizations opposing anti-Semitism have been urging the planet’s preeminent social-networking platform, Facebook, to delete any content that asserts the Nazi-orchestrated extermination of 6 million Jews never took place. To read more about the controversy, click here. 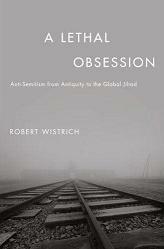 At a time when anti-Semitism is again becoming fashionable in European societies, this work needs no special recommendation.…It would be difficult to think of a more competent author than Wistrich, head of a Jerusalem research institute, who has given decades to the study of the subject and has a good knowledge of recent European history and languages, and particularly of Nazism. “He came from a poor Jewish family and was, according to his baptismal certificate, the son of Moses Blank, a native of (the western Ukrainian city of) Zhitomir,” says Anna Ulyanova, Vladimir Lenin’s eldest sister in a letter to Joseph Stalin. For the first time ever, ordinary Russians can now see documents that appear to confirm long-standing rumors that Vladimir Lenin had Jewish heritage. That’s a big deal in a country long plagued by anti-Semitism, especially for the founder of the Soviet Union, who is still revered by many elderly Russians. The documents are part of a collection on display at the State History Museum in Moscow. To read the full story, click here. The author of this article says, “The discourse of anti-discrimination reinforce a notion that all oppressions are similar. And while I may well agree that different types of oppression are equal, I think that analogising one to another stunts our knowledge of either.” To read more click here. The Simon Wiesenthal Center has collected news items and video conferences that show underreported anti-semitism in the unrest sweeping North Africa and the Middle East. Click here to read more. This is an interesting account of a woman recalling how she learned about anti-semetism when she was a girl. To read more click here. Stereotype threat refers to the risk of confirming a negative stereotype about one’s own group. Research shows that stereotype threat causes decreased performance and distancing from the stereotyped group. Click here to go ReducingStereotypeThreat.org to read more. The open letter raises important concerns about the use of terms like “Nazis” when characterizing an individual who is not a Nazi, but is simply disliked by the speaker. The characterization can minimize the experiences of people who suffered from Nazi oppression and diminish the meaning of the Holocaust. Click here to read the article from the Jewish Fund for Justice website, which includes a link to the open letter.